Imagine erasing a wrinkle line almost instantly without any down time. It is for this reason that botulinum toxin (also known as Botox® Cosmetic, Dysport®, Myoblock®, and Xeomin®) injection for facial wrinkles is the number one non-invasive facial plastic surgery procedure currently being performed in the U.S.A.
Last year over 3.5 million people had Botox® Cosmetic injections. It is quick and easy with generally no recovery. Since every face is unique, the skill of the person placing the Botox® Cosmetic is very important to maximize the benefits. 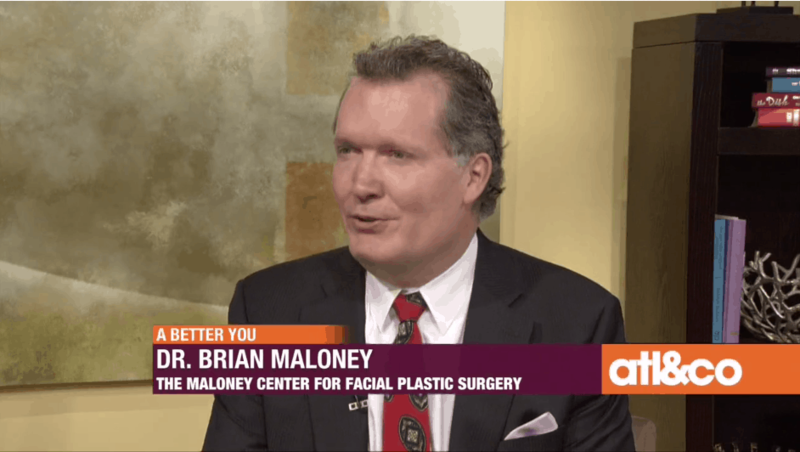 Dr. Brian Maloney has been selected by Allergan as a national training center of excellence. He instructs doctors from around the world on the proper technique of Botox® Cosmetic to help their patients achieve the best results. Rhinoplasty, a facial cosmetic procedure, is usually performed to enhance the appearance of the nose and is more simply referred to as a “nose job.” For individuals wanting a smaller and shapelier nose, or could benefit from having improved breathing or relief from snoring then a Rhinoplasty can be employed to accomplish those desires. For many, the benefits can stretch beyond gaining an improved physical appearance. By opening narrow nasal passages and correcting structural abnormalities, breathing can be improved which in turn helps with snoring problems. During the actual procedure, incisions are usually made within the nasal cavity. In the case of a patient wanting to enlarge or narrow their nostrils, there will be small incisions made at the base of the nostril. These incisions usually heal with little if any scarring and rarely require dermabrasion for additional fine-tuning. This provides a natural looking final result with no scarring. After a consult, complete with picture imaging, you will be equipped with further and more detailed information about the procedure. Dr. Maloney will also be available to address any questions that you might have at this time. The risks associated with this type of surgery are minimal.